For the past few years, residents of southern Maine’s coastal communities have observed green slime growing on their shores during the spring and summer months. The question is: is this slime, known as an algal bloom, the result of population growth or a natural phenomenon? In order to answer this question, one crew at UMaine’s Darling Marine Center have turned their focus to these seasonally consistent blooms with the support of a University of Maine System Research Reinvestment Fund (RRF). The Friends of Casco Bay, a group of dedicated coastal Maine citizens seeking to protect the health of Casco Bay, have become increasingly concerned with these algal blooms. Their recent efforts involve taking a close look at the permits of wastewater treatment facilities, specifically the East End Treatment Plant in Portland, the largest of its kind in Maine. As southern Maine’s urban areas increase in population, the amount of waste flowing through treatment plants and into the ocean also increases. Consequently, these facilities are the first line of defense for Maine’s waters, as they treat the wastewater coming in and work to mitigate the effect of excess nutrients, such as nitrogen, before the water is released back into the ocean. In order to assess the existing permits of the East End Treatment Plant, The Friends of Casco Bay recognized the need for viable nitrogen measurement data to confirm their call for action. 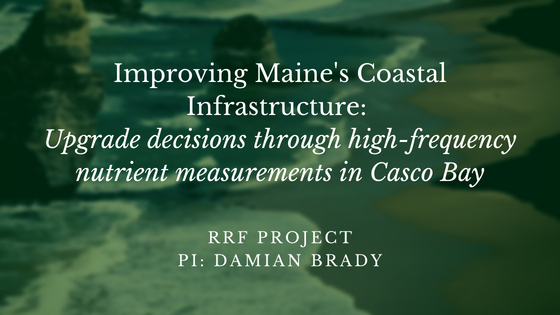 With efforts like The Friends of Casco Bay pointing out the potential for problems, communities like Portland have to begin asking hard questions regarding infrastructure investment decisions and how they deal with waste. To inform these big decisions for Casco Bay and the Portland area, Damian Brady, Assistant Professor of Marine Sciences at UMaine and National Science Foundation (NSF) EPSCoR’s Sustainable Ecological Aquaculture Network (SEANET) Theme 1 Co-Lead, gathered a team to address this need and provide a better understanding of the nutrients in Maine’s coastal waters. The predicted results from the nutrient measuring project aim to inform growing areas such as Portland on long-term, city-wide, management decisions on infrastructure, transportation, and waste management as the ocean warms and the potential for nutrient pollution increases. Algal bloom in South Portland’s Mill Cove, 2016. Photo provided by the Friends of Casco Bay. The Research Reinvestment Fund is in place to “strengthen research, development and commercialization activities that are tied to Maine businesses and to industries that are critical to the future of Maine,” and the RRF grant Brady received provides funding to build the technology needed to conduct their tests. The resulting machine, which can attach to a boat, measures the levels of nutrients, such as nitrogen, as the boat moves through the water. This allows for continuous measurement over large areas, like the Casco Bay, instead of periodic measurements that can only provide small snapshots of time and place. Cold waters and large tides along Maine’s coast have long protected Maine from some of the larger dangers associated with too much nitrogen. However, as the Gulf of Maine warms and the population of the state’s urban areas become denser, nitrogen waste can become more abundant and possibly impact local water quality. 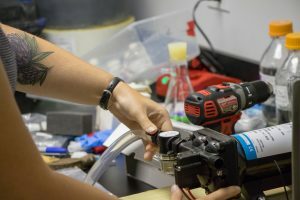 According to Kate Coupland, a UMaine Ph.D. candidate working in Brady’s lab, and on this RRF project, nutrients enter the water and can cause big phytoplankton blooms, which is fine because plankton produce oxygen—but when that dies and sinks to the bottom and bacteria eat it, it decreases the oxygen levels because the bacteria need the oxygen to breathe. “So you end up with areas at the bottom that have no oxygen—and how much of our marine resources are bottom dwelling animals? [Almost] all of them,” explained Coupland. 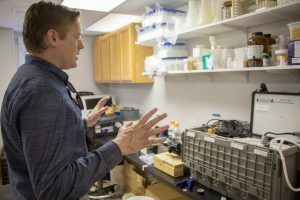 While the technology developed might mirror some of the aspects of previous research conducted in the San Francisco Bay, the research conducted by Brady and his team is the first of its kind in New England, and if successful will set a precedent for future water monitoring in East Coast waters. Brady looks over the continuous high frequency monitoring device as he explains the sampling process. 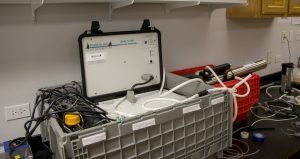 The high frequency monitoring device will be able to be brought on a boat and will measure nutrients in the water as water pumps through its system at a continuous rate. 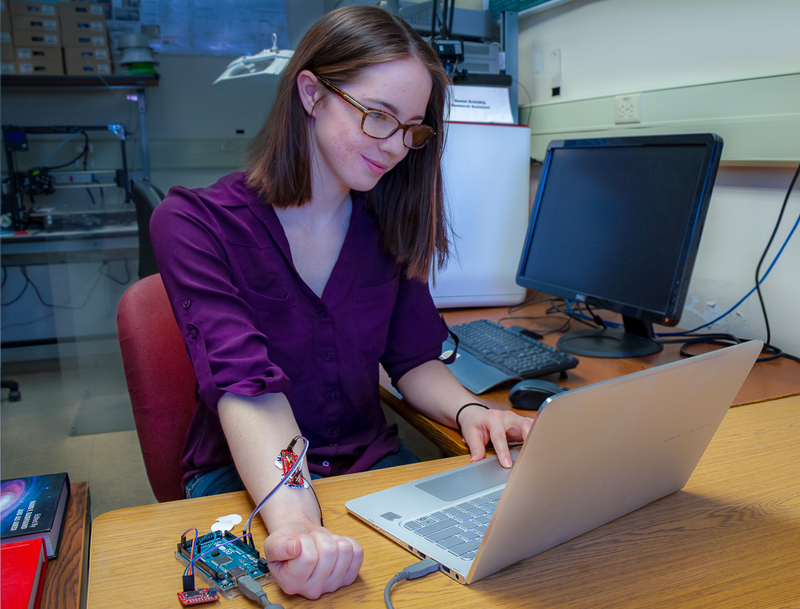 Meghan Amico works on assembling parts of the continuous high frequency monitoring device. 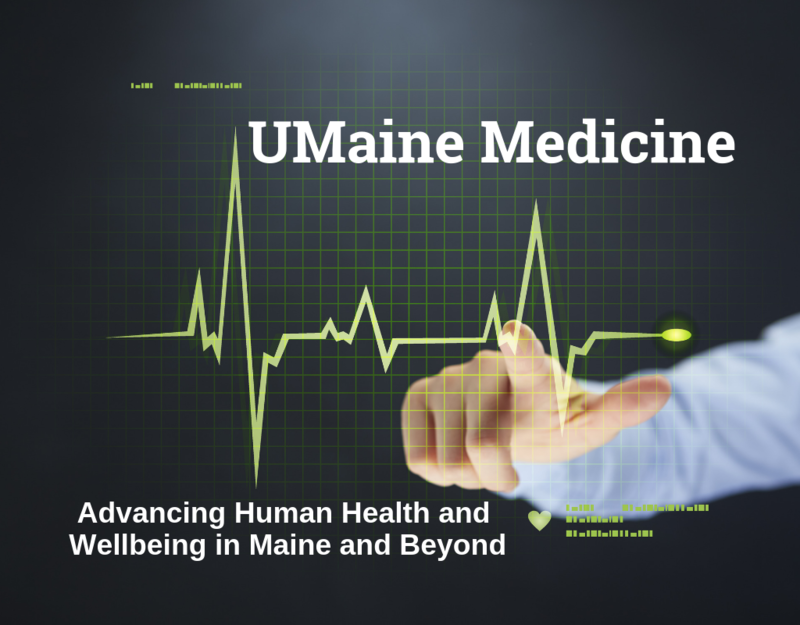 This work, supported by the RRF grant, continues to promote the University of Maine’s research community. 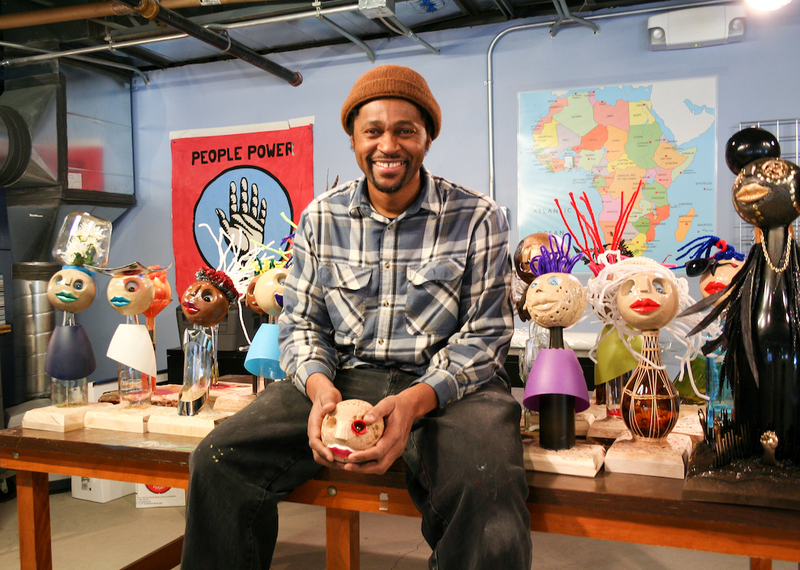 Brady has secured over $400,000 in add-on grants, with plans to submit for an additional $2.5M in future grants. 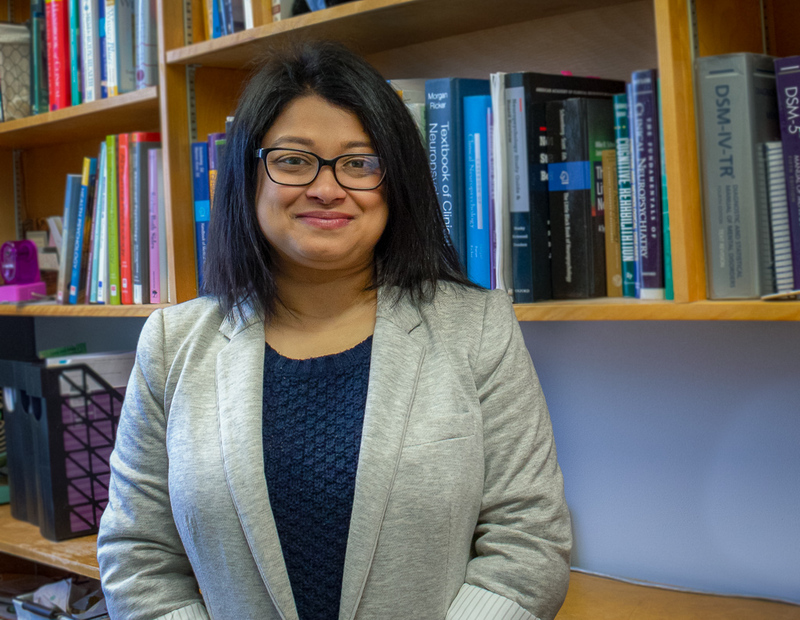 These grants include funding from the Environmental Protection Agency (EPA), which is seeking to establish a nutrient model for the rest of the country, and the National Oceanic and Atmospheric Administration (NOAA) for data on pH levels in the Gulf of Maine. Brady credits the success of the RRF grant project to the team of UMaine undergraduate and graduate students who work in his lab. In addition to Coupland, Brady has one other researcher, Kathleen Thornton, and one undergraduate intern working on the project. 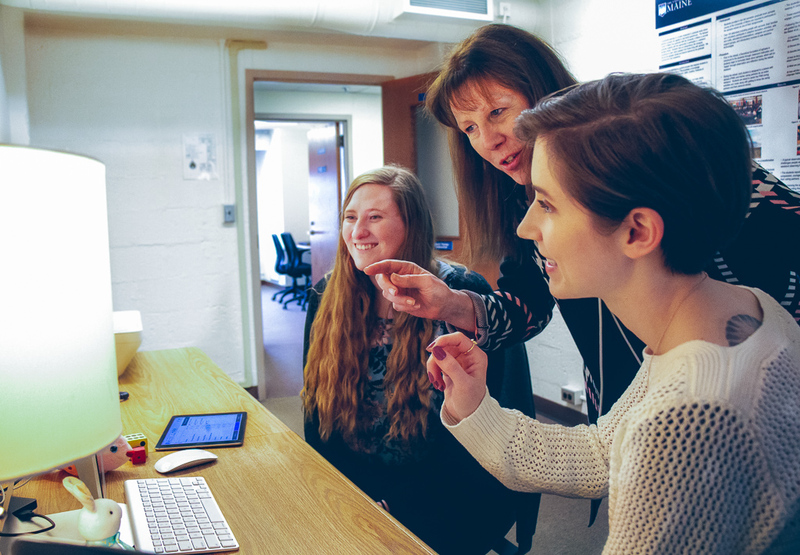 Megan Amico, a senior undergraduate studying Marine Science at UMaine, believes the project allows her to participate in science that matters and makes a difference. “It’s really cool to get in there and see what is going on, and how it will influence the future and rework the laws and standards for wastewater treatments, and hopefully it will be for the better,” said Amico. In addition to his RRF grant work, Brady also works closely with the aquaculture industry, currently serving as research faculty and co-lead for NSF EPSCoR’s SEANET’s Carrying Capacity theme. This project is still in its development phase, but Brady’s team plans to deploy their first series of samples in early August. The team has high hopes that the results will have a positive impact on future legislation and management decisions for the water treatment of Maine and New England’s coastal communities.